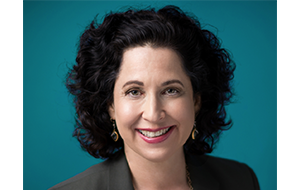 After interviewing 40+ CIOs, executive recruiter Martha Heller shares insights for the "New Era of IT"
If you currently hold the role of CIO, or you aspire to, chances are you know Martha Heller. Perhaps you read her column in CIO Magazine or know her through the firm she founded, Heller Search Associates, an IT executive search firm. Perhaps you’ve read her book, "The CIO Paradox," or you’ve heard her speak at a conference. Or maybe you are one of the thousands of IT executives who follow Heller’s Twitter feed or her email newsletter. Bottom line, Heller is well-known in the CIO community because she knows the CIO — how the role has evolved, and where it's heading. Heller’s second book, "Be the Business: CIOs in the New Era of IT," which hits bookshelves this week, is a result of interviews with more than 40 CIOs, most from Fortune 500 companies across a wide range of industries. We caught up with her for a sneak peek. The Enterprisers Project (TEP): What have been the biggest changes in the CIO role since your first book, "The CIO Paradox," was published? Heller: One of the opening questions I asked my interview sources was “How has your role changed since 2010?” Almost to a person, these CIOs said that their role has moved from the back office to the front office, where they are much more involved in customer facing initiatives. They also said that their role has become more strategic and had a greater impact on the revenue stream of their companies. I agree with these CIOs and have shown in "Be the Business" how CIOs are changing their operating models and personal approaches to leadership to manage their changing role. But to me, the biggest change since I wrote "The CIO Paradox" is how the walls between IT and the rest of the company are coming down. When software is making its way into the services and products of companies that never defined themselves as software companies, where IT stops and “product” begins becomes very blurry. When technology is the business, who owns the IT budget? Who is responsible for technology innovation? Who is accountable for widespread adoption – inside of the company and out – of new technology tools? The role of the CIO today, as I discovered in researching and writing this book, is not to manage the IT function in isolation, but to distribute IT investment decisions, innovation, development, and adoption throughout the company. The role of the CIO is to free the IT organization, company workforce, and executive peers from their “vertical prisons” and look horizontally at the enterprise as a whole. The CIO’s job is to use his or her uniquely end-to-end view to drive capabilities, like “digital” and customer engagement, across the enterprise. 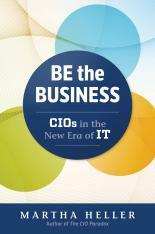 TEP: You feature the voice of many different CIOs in your book. Are there any particular anecdotes or interesting quotes that stood out to you? Heller: I love the story of when Rob Lux, now CIO of Freddie Mac. He was in a computer club in high school and “this guy from Microsoft” visited the club asked its members to demo Windows. Lux wasn’t a fan and told the guy that his company had work to do before they were ready to ship the product. The man (who turned out to be Bill Gates), said “You’re wrong; we’re shipping it,” so Lux wrote to him years later admitting his misjudgment. The moral of the story to Lux was, “If you’re in IT, ship software; if you’re not getting software into your customers’ hands, you’re failing.” His point is that regardless of industry, CIOs and their IT organizations must start thinking like software companies if they are going to drive business value in the new era of IT. I also like comments by Eash Sundaram, CIO and EVP of innovation for JetBlue, who no longer measures his teams by traditional IT metrics. He uses the same metrics as the company, like “Departure 0” (the number of planes that depart zero minutes late). “When everyone in IT owns that D0 metric, they become part of an entire business community that is passionate about the airline running on time,” he says. TEP: Of all the critical competencies you list for CIOs in your book, which do you think are the most challenging for IT leaders today and why? The other tough competency is “Grow Blended Executives.” To my mind, there is no harder task than moving an IT organization from order takers to order shapers, and asking a team of technologists, whose tool set undergoes a paradigm shift every eighteen months or so, to be strategic, consultative, customer focused, and delightful. CIOs and their teams are under such pressure to deliver so much so quickly that they do not have the time to make sure their IT teams are as well-versed in “the business” as they are in IT. Large companies can put in rotational programs that send IT people to learn a business function for six months, but most companies do not have those resources. For this chapter, I talked to CIOs who are finding more opportunistic ways to turn their IT people into business people and who are using metrics (as at JetBlue) to get technologists to understand the business context in which they work. TEP: In one chapter you focus on the power of story-telling. For analytical, technology-minded CIOs, this might not come naturally. Can you share any advice to help CIOs tap into their creative side to be better story tellers? Heller: A story does not have to be a traditional creative narrative. One example I use in "Be the Business" is a “pie chart story” that Gerri Martin-Flickinger, then CIO of Adobe, used to educate her executive team on the role and value of IT. These executives had trouble digesting the complex financial models that Martin-Flickinger had been using to communicate IT costs, so she started using a pie chart that had only three sections: operations, new delivery, and depreciation. She put that pie chart on every dashboard and report she gave to the executive committee and found that they started to get it. “The pie chart solution sounds so simple,” she says. “But for me, it was the secret sauce in focusing our executives on how we are spending our IT budget.” A story can be a number, or a picture, or parenting lesson learned. CIOs have an array of choices when it comes to crafting the right story. TEP: What is it about the CIO role that has intrigued you for all these years? Heller: I cannot think of another executive role that is as demanding as the CIO’s. CIOs are responsible for network performance, information security, data integrity, innovation, customer engagement, employee productivity, and automating virtually every business process in the company. With all of this responsibility (and the tremendous breadth and depth of knowledge it requires) you would think that CIOs would be the kings of their companies with roses strewn at their feet down every hallway. But they are not! CIOs are often their companies’ second citizens, not on the senior leadership team, not in the critical strategy meetings. This contradiction between importance and positioning has always fascinated me. Also, the role was only really professionalized in the 1980s a mere 30 years ago, and it has changed so much. I have been glued to its rapid evolution.